We just saw in a previous blogpost that the fashion industry is beginning to use 3D printing quite often. In order to make the most of this technology, designers have to use 3D modeling software to create the clothes and accessories that they want to prototype or produce. As a lot of these software tools are offering good renderings, it could also be a great solution to show your models to your customers. You are interested in digital fashion, but you don’t know what CAD fashion design software you have to use? We are here to help you! In this blog post we will see the link which already exists between the fashion industry and the use of 3D printing. We will give you some tips to choose the best 3D modeling software for fashion, to help you with your garment designs. Then, you will even be able to 3D print your products thanks to our 3D printing service! Why should you use 3D printing for your fashion projects? 3D printing is well used in the fashion industry. Additive manufacturing appears to be a good solution to create the complex designs of clothes that we can see during fashion shows. The 3D printing technology allows to make new experiments, to try new manufacturing methods, new materials, and also to produce clothes with intricate geometries without wondering how it will be possible to create that. Moreover, this technique allows you to create many iterations of your projects quite faster and cheaper than with traditional methods. Designing patterns is an important process in fashion, and these software will seriously ease your design process. You will be able to create high quality prototypes thanks to digital manufacturing. It is an accurate technique that will give life to the 3D design that you’ve created with our 3D modeling software. 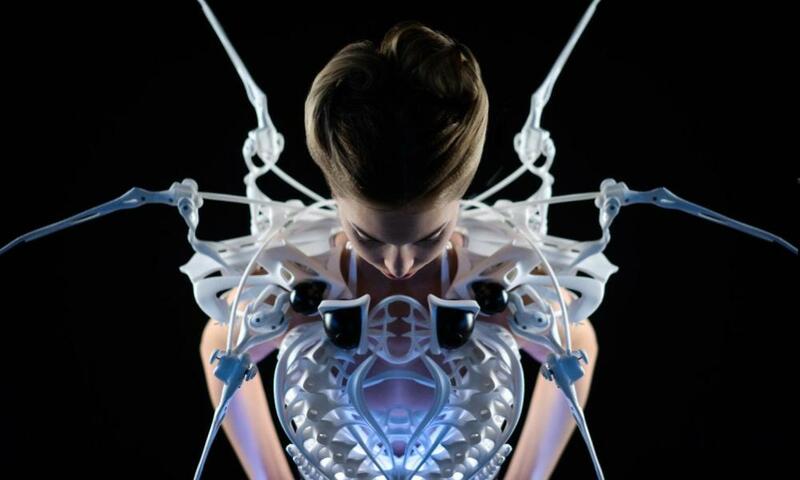 3D printed creations for the fashion business are not only clothes. You can find 3D printed shoes, accessories and jewelry. 3D printed jewelry is becoming quite interesting thanks to metal 3D printing, it is now really accurate, with a good quality and various finishing allowing to get really good looking rings, bracelets or pendants. If your are interested in 3D printing jewelry, check out our top of the best 3D modeling software for jewelry. CAD fashion design software are not specially made for 3D printing. Even without using additive manufacturing, designers now have to work on 3D software. These 3D software are allowing to do some rendering and visualisation, that is precisely why it is interesting for these kind of aspects of the fashion industry. These fashion design CAD software are also convenient to create perfect patterns or to show models to the customers. Anyway, 3D is becoming really interesting for professional fashion designers. What are the best CAD fashion design software? You might want to 3D print your creations, your clothes, accessories or even shoes. Or maybe you just want a tool to make some renderings. Whatever your project, we will help you to find the perfect CAD fashion design software in order to create your project. CLO 3D is a design software that is really easy to use, with an intuitive interface and a lot of video tutorials to help the users. It is allowing to get renderings from 2D patterns. You can make all the iterations that you want, the software is automatically generating colors and textures on the added parts. 3D is a good method to get a good visualization of the products, to see how it fits, how the silhouette is. Tuka3D is an easy to use 3D fashion design software develop by Tukatech. This amazing software allows you to scan your fit model, and to adjust it with the diverse options of measurements available. You can create virtual fitting session with an animated model who can move, dance, run, etc. This 3D software is really made to do virtual prototyping, allowing you to make many trials just for one product. This design tool is helping designers to work quickly and easily thanks to virtual clothes samples. 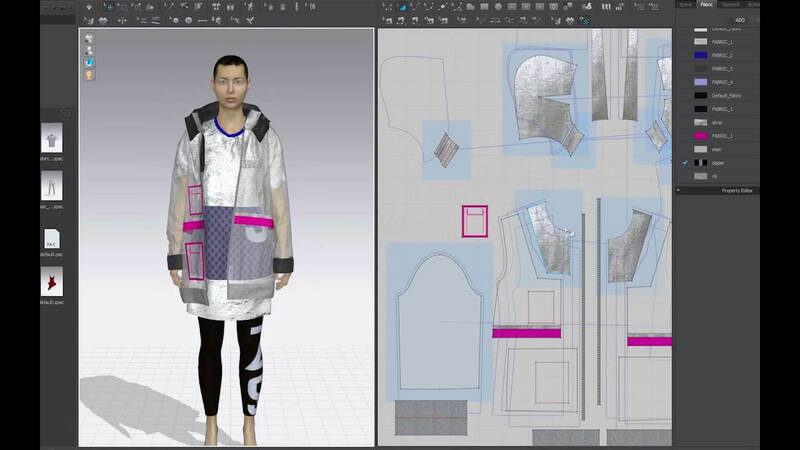 MarvelousDesigner is a software allowing to create 3D virtual clothing. With this platform, you can create any clothes, from basic shirts to really detailed and complex dresses or suits. The goal of MarvelousDesigner is to make the fashion design process more accessible, with many options and realistic renderings. It is possible to work on the texture of the clothes, but also on the details and accessories. Moreover this software is compatible with a lot of other 3D software, so it is even easier to edit your 3D model. You can import or export 3D models from software such as 3DS Max, Maya or ZBrush, which is really convenient and will surely improve your design process. VStitcher, a solution for 3D virtual prototyping. It is addressed to developers, technical designers and pattern makers. It is allowing to convert 2D patterns into great 3D models and prototypes. Lotta, a 3D fashion design solution that will help designers to create clothes with a total freedom. You can easily work on Adobe tools such as Photoshop or Illustrator, and synchronize your 2D drawings and patterns with Lotta. It will help you to visualize your products in any trim or color. These solutions will help you to communicate more efficiently with designers or manufacturers. Romans CAD is a software created for the footwear industry, and the creation of leather goods. This CAD fashion software is particularly efficient to create prototypes, Romans CAD is allowing designers to make all the changes that you need on your products with a lot of accuracy. This is an efficient cloud based program, made to work faster, and to improve the communication between designers and manufacturers. Fusion 360 is a design software developed by Autodesk. It is a cloud based software, allowing the different users to communicate and work faster. This CAD program is really good to give life to your design ideas, that is why you can use it to create fashion items such as clothes, shoes or accessories. It has advanced software tools, allowing to make solid modeling, mesh modeling, and parametric modeling. As this 3D modeling software has a large community, you will easily find guides and video tutorials to help you with your creations. Check our tutorial to know how to prepare a 3D file for 3D printing using Fusion 360. Maya is a 3D modeling software developed by Autodesk. Maya has advanced software tools and can be used by professional designers in the fashion industry. We saw recently on our 3D printing blog that this software is great for chara design. It is efficient to create characters but also clothes movements! So, if you are looking for software offering amazing renderings, you can use Maya. This modeling program can have various applications, even in the world of fashion, as it is a really powerful and polyvalent tool. 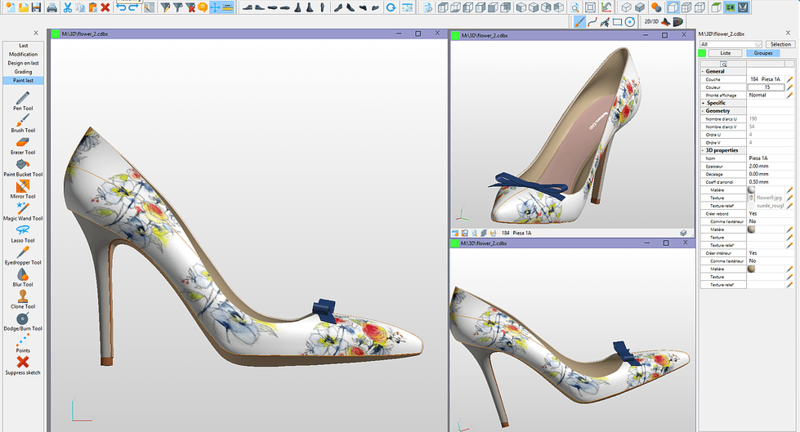 For a better experience, don’t forget that you can combine Maya and MarvelousDesigner, a CAD fashion design software that we saw previously in this blog post! If you want to know more about Maya, check out our tutorial that will help you to export your file for 3D printing. It will allow you to use our 3D printing service quite easily. ZBrush is an impressive modeling tool to work on painting and texturing. It is totally possible to work with this CAD software for the fashion industry. Keep in mind that this software has advanced tools and is addressed to experienced users. ZBrush is also a good solution if you are looking for a software to get impressive renderings. As for Maya, don’t forget that you can combine this software with MarvelousDesigner, a CAD fashion design software that we talked about previously in this top! Moreover, we have a partnership with ZBrush, allowing you to upload directly your 3D file on our online 3D printing service. It could really improve your additive manufacturing experience! Rhino is a really efficient 3D modeling software. It can be used in various industries, and the fashion industry is not an exception. As this is a professional tool, you need to be experienced to use it and to create accurate patterns for your prototypes or final products. To create impressive designs using advanced graphical algorithms, you can use Rhino 3D with the plugin Grasshopper. If you are interested in creating jewelry with 3D modeling, you can also use Rhinogold, specially developed for jewelry design. You can also read our Rhino tutorial if you need more information to work on 3D modeling for 3D printing. As you can see, there are a lot of options available if your are planning to use a CAD software for fashion applications. We hope that you found the CAD fashion design software that will fit your project, help you to design clothes and create perfect patterns. If you want to 3D print your prototypes or if you want to use additive manufacturing to produce your fashion items, you can upload your 3D designs on our online 3D printing service. Don’t forget to subscribe to our weekly newsletter to get all the 3D printing news.